The Natolin campus of the College of Europe was established in 1992 in Warsaw at the time of the reintegration of the European continent after the fall of the Iron Curtain. Today, with its postgraduate Master of Arts in European Interdisciplinary Studies, the Natolin campus is at the cutting edge of academic study of new developments in the EU and its neighbourhoods. Every year, it attracts students from all over Europe and beyond who are seeking a truly multicultural experience and an international career. 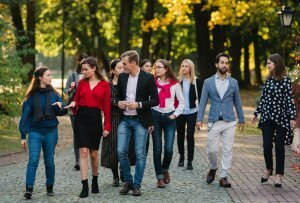 The objective of our first-class interdisciplinary programme taught by around 100 leading academics and practitioners from Europe and beyond, is to provide Natolin students with key expertise in the internal and external dimensions of European affairs. The programme fosters excellence in research with two established Chairs: one in European history and civilization, another on the European Neighbourhood Policy and the EU’s neighbours. With two inspiring study trips in Europe and its neighbourhood, immersing students in topical issues on-site with key experts and decision makers, we want to provide our students with exclusive field experience. 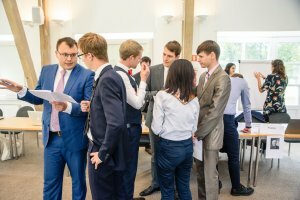 Moreover, by organizing special events with VIP guests on the campus throughout the year and including Natolin students in the vast alumni network of the College of Europe, we wish to help them build up an invaluable network of contacts for their future careers. The setting of the Natolin campus is truly unique. 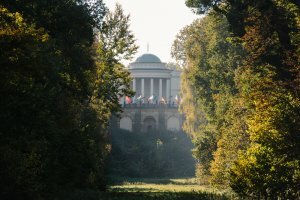 Located in a 120-hectare historical park and nature reserve, formerly the royal hunting grounds of the King of Poland, it remains a quiet island of green just a stone’s throw away from the city center of Warsaw. 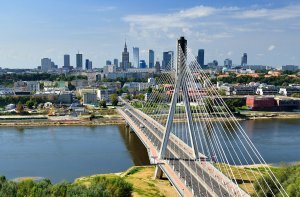 A thriving and fast-developing metropolis of 1.7 million inhabitants and 250,000 students, Warsaw is a rich cultural, political and business hub. It hosts the headquarters of the European Border and Coast Guard Agency FRONTEX and the OSCE’s Office for Democratic Institutions and Human Rights. The location of the Natolin campus in Poland, a country close to the Eastern frontier of the European Union, makes it an ideal starting point for the exploration of the political and socio-economic impact of the EU in Central and Eastern Europe and in the EU’s neighbourhoods. A thorough academic preparation, combined with language courses and a professional skills programme designed for today’s competitive job market, enable our graduates to make a substantial contribution to European affairs, be it through working in the national administration, diplomacy, European institutions, international organizations, NGOs but also the private sector and academia. This postgraduate Master of Arts is aimed at university graduates with an academic background in a varied range of disciplines, such as law, economics, political or social sciences, history, philosophy, geography, linguistics or journalism, and who are interested in approaching the process of European integration from a broad and interdisciplinary perspective. Graduates with degrees in other disciplines (such as natural sciences, engineering etc.) who demonstrate a high academic level and a keen interest in EU affairs are also encouraged to apply. We aim to educate cross-cultural communicators, innovative negotiators, administrators, analysts, researchers and leaders with interdisciplinary and contextual, regional and international expertise.